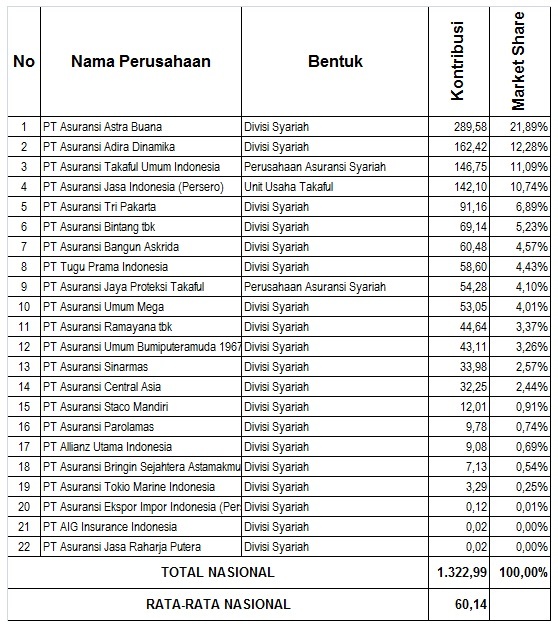 The above picture gives details of Name of General Takaful Operator, its Gross Contribution and Market share based on 2012 data. In total, Indonesia’s general takaful operators produced approx IDR 1.3 trillion (USD 130 mio) from 2 full-fledge takaful operators and 20 takaful windows. It shown that takaful is a promising business in Indonesia and there are still plenty of room for growth.